Alexanderplatz, a large square in central Berlin, was once the main commercial meeting point of Berlin's Socialist sector. Today it's one of the city's main transport stations and shopping centers. It comes as no surprise that there's a lot to see and do around there! 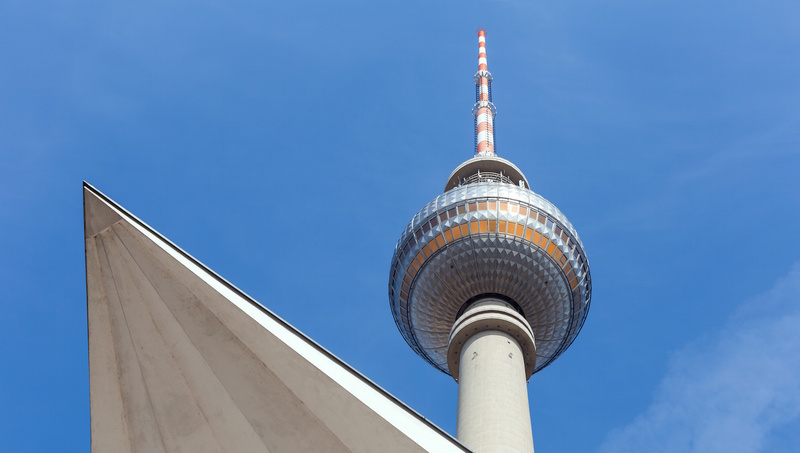 Standing proudly at 368 meters, the TV Tower is an iconic example of East German architecture and ranks as the tallest structure in Berlin - and, in fact, all of modern-day Germany. Book a tour here to get a truly extraordinary view over the city. You can even go all our and have dinner in the revolving restaurant! 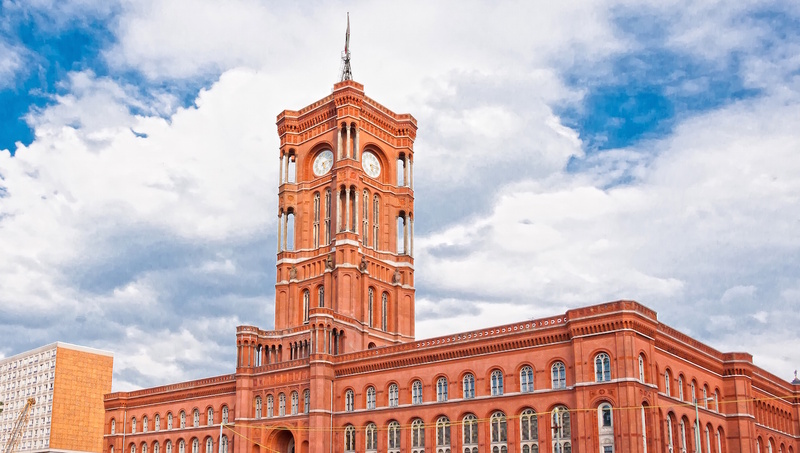 Berlin's city hall is located just near Alexanderplatz. Distinguished by its red brick, the original building was heavily bombed during World War II. Following renovations, it became the seat of the East Berlin senate. 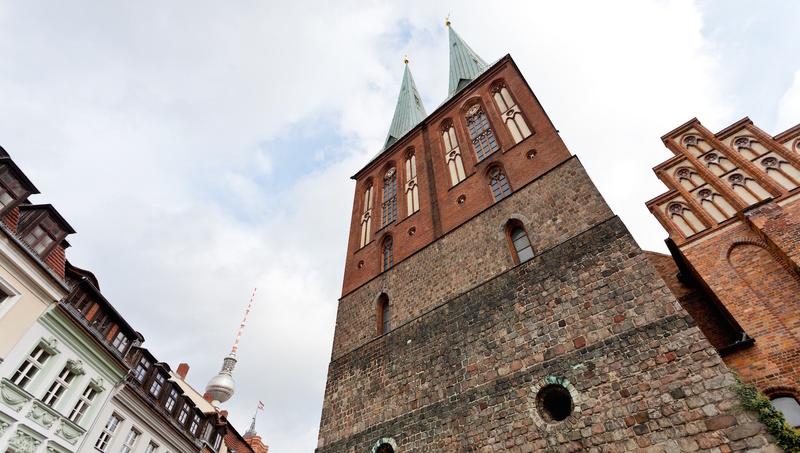 Unlike many other European capital cities, Berlin's streets are not lined with quaint, old-world buildings, but the Nikolaikirche is one of the exceptions. It was originally built in the 13th century and is now primarily a museum. This eccentric clock displays the time in different parts of the world and was designed by Erich John, and constructed by Hans-Joachim Kunsch. It makes an appearance in many modern German films, such as "Run Lola Run". 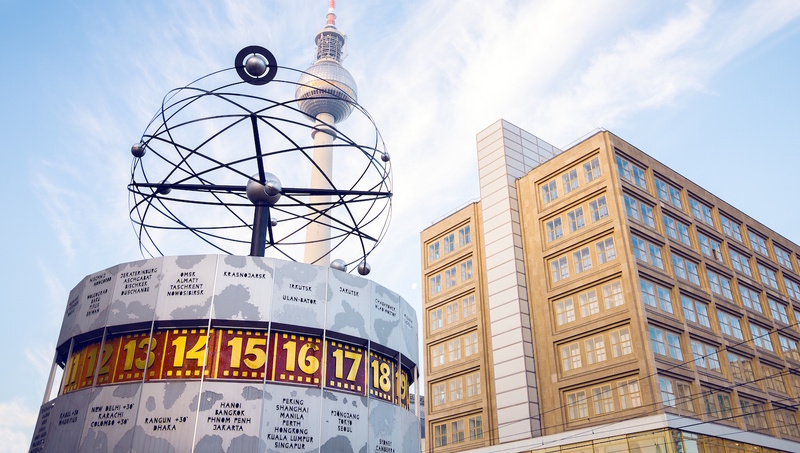 From April to November, you can jump 125 meters from Alexanderplatz's Park Inn Hotel. Do it if you dare! It's a popular attraction, so it's important to book your TV Tower visit at least a few days in advance. Please also note that due to minimal elevator facilities, there is no wheelchair access to the Tower. Although there are no barriers, the public transit system is not free! Undercover ticket controllers operate on trains, trams, and buses. After buying your ticket at one of the machines at each stop, don't forget to stamp it for validation. Don't get caught without a ticket - buy a Welcome Card, which also gives you discounts in certain museums. Berlin is a pretty spread-out city - not only because of its former East/West division, but also because it grew out of several villages. Each district has a distinct character - if you want to get deeper into local life, plan for a day in each one. Berlin has been the stage of a lot of dark history, and you'll notice there are various memorials and other sites commemorating these events. If you visit these, remember to be quiet and respectful so as not to upset locals and other visitors. The square is accessible 24hrs a day, but times for specific attractions varies. Free of charge to explore Alexanderplatz. Not necessary, but guides for individual attractions and history of the area would provide fun and interesting insights. S- or U-bahn stop 'Alexanderplatz' which can be reached by U2, U5, U8, S7, and S5. Alexanderplatz hosts many festivals, including Oktoberfest and Christmas markets. Visit between September - December if you want to get a taste of German traditions. 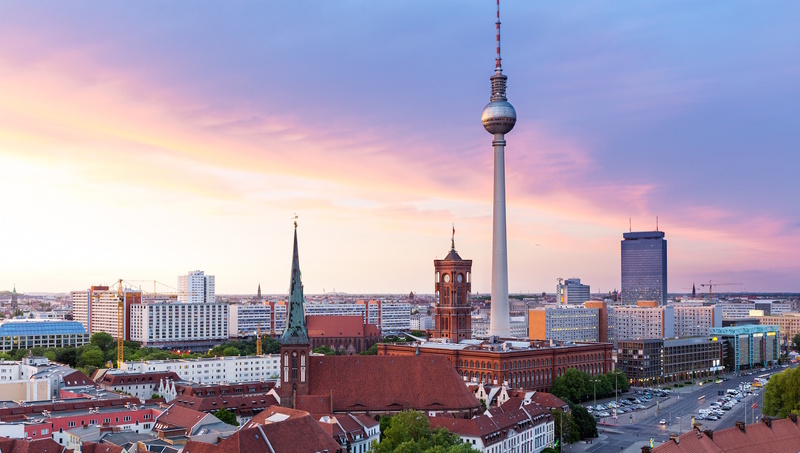 Get a taste for the variety of food Berlin has to offer! Surrounding Alexanderplatz are many places to eat, providing a variety of international cuisine. Take a break from a day of site-seeing and bite into a tasty Berlin meal. Very informative and off the tourist drag. Barnby had in depth knowledge and I learnt a lot. The tour took us to places that we would not have gone to otherwise and pointed out things that we would have missed. Fantastic laugh, great pizza. A must-do! A care free laugh (no roast of the multi national audience) with great vibe. Pizza was wonderfull. Comediens were good, some better, one best. Recommender for everyone visiting Berlin!! The guide (Rob) was extremely kind, funny and knew a lot about street art and graffiti. You really get a lot for your money.